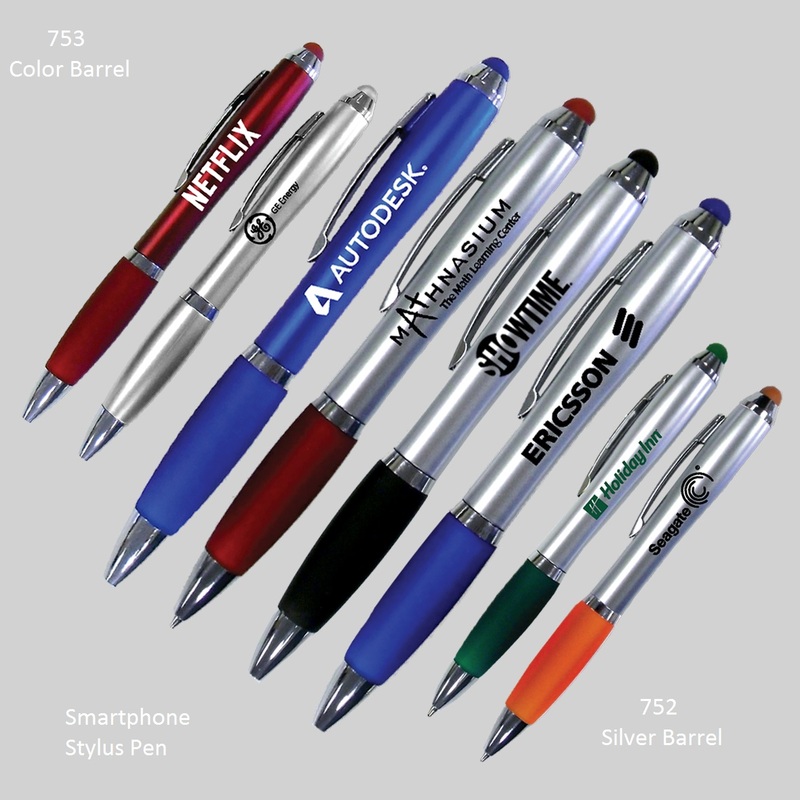 Smart phone & Tablet iTouch Ballpoint Pen, with comfort grip. Features a soft black tip on top to act as a stylus for use with smart phones and tablets. a rich lustrous chrome coated color barrel. Our stylish and elegant high quality pens will enhance your image. Perfect for trade show, sales visits and everyday office use. Eco friendly, materials are 100% recyclable. Size 5.5" approximately. Writes In Black Ink. Case Pack=1000 Pieces Case Weight=30 lbs Case Size Approximately 18" x 14" x 9"